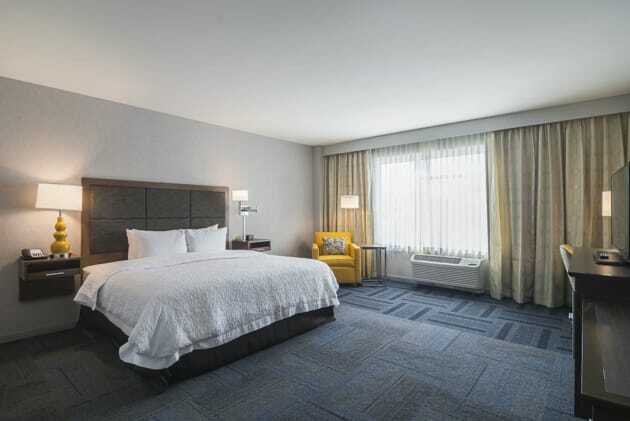 Stay minutes from Loyola University at the Hampton Inn Chicago-North Loyola Station hotel. 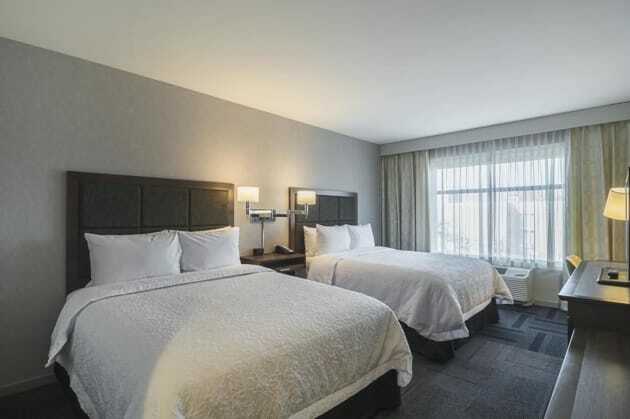 With a convenient location and clean, spacious rooms, our hotel makes the perfect home base for your trip to Chicago. We are less than 5 miles from Northwestern University, Wrigley Field, Lincoln Park Zoo and many museums. Walk to the nearby Red Line, Yellow Line and Purple Line stations for easy transport throughout the city. 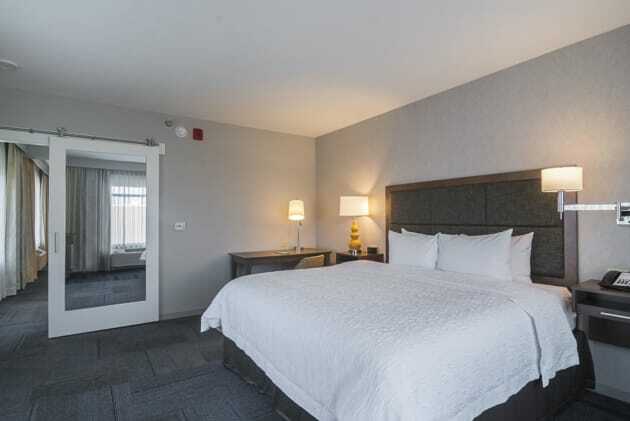 When you’re ready for some rest, return to the hotel and enjoy a peaceful night’s sleep in the clean and fresh Hampton beds®.Each of our comfortable guest rooms features free WiFi, a mini-fridge, work desk, ergonomic chair and 42-inch HDTV. Upgrade to a suite and enjoy extra space, a separate living area and sofa bed. Wake up to free hot breakfast each morning of your stay. In a rush? Grab one of Hampton’s On the Run Breakfast bags, available Monday – Friday. Our hotel also features a stylish rooftop terrace where guests can enjoy stunning views of Lake Michigan. Keep up your exercise routine in our modern fitness center with cardio and strength equipment. Book our 650 sq. 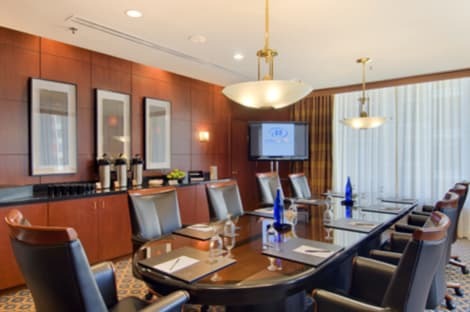 ft. meeting room for your next Chicago business event or social gathering. 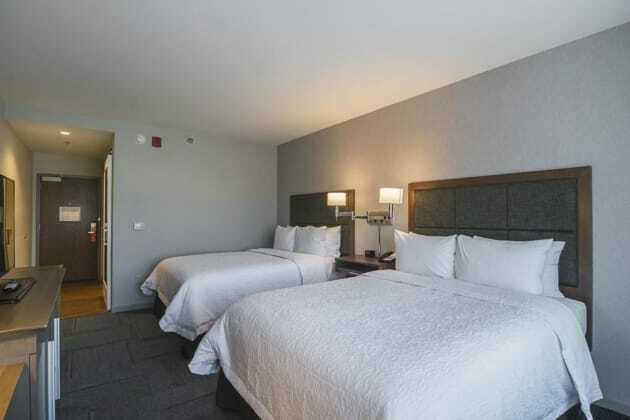 The hotel has a medium sized lobby with marbled walls and comfortable contemporary styled furnishings. The hallways are bright.